There is no question that we’re living in a highly sensitized world today. We are easily offended by matters we would have overlooked previously. This isn’t to say that having an opinion and being passionate about your beliefs is a bad thing, but at times it seems like we take it a little too far. Our extreme political correctness has created division. I have become much more sensitive to people, places, and things ever since I was graced with a sensitive kid. A sensitive kid with a sensitive issue, who is navigating an insensitive world. When we’re forced to desensitize, were stripped of the blinders we’re accustomed to wearing. The armor is peeled away, and you pay closer attention to what is happening. I won’t lie, this post triggered me. I remember the first time I watched Rudolph! I was about six years old, and I cried. I was uncomfortable with what I saw, and my little heart knew something wasn’t right. I think I struggled to understand why everyone was so mean to this cute little reindeer. Year after year, I watched, and felt, and emoted throughout the classic Christmas movie. As I grew older, my sadness turned to irritation. My “why?” turned to “WTF?!”. Fast-forward to present day, and now my son watches and processes the same story that triggered me for years. In fact, we have watched Rudolph 62 times since October 13th (worth noting: with autism comes obsession). I sit with him every night and watch… no, not the movie. Him. I carefully observe what he responds to, especially the parts that bring me back to that sad six-year-old girl. As a parent, I cringe at these scenes. Why? Because each depicts an existing societal issue: exclusion, bullying, discrimination, etc. These realities are more dangerous and damaging for those watching today, than for those of us who first watched decades ago. 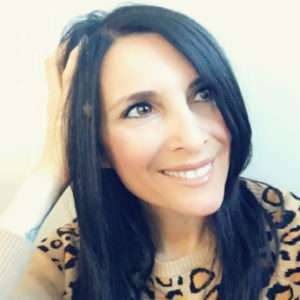 Realities that I face as a parent of a child who is different. Realities I am extremely sensitive to. 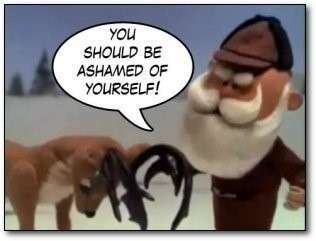 However, with all that said, do I believe Rudolph is inappropriate enough to ban it from the holiday airwaves? That would be a No. Do I believe parents need to spend time watching it with their kids and having discussions about the issues presented in some of the scenes? Hell Yes. Lesson #1: Don’t underestimate the underdog. Greatness can be achieved by anyone, even those least expected. Rudolph was told he was different and flawed before he could talk or walk. His Dad got to him first, then his coach Comet and even Santa added to the verbal abuse/attack. They say if you hear something often enough, you start to believe it. Not Rudolph – despite being told he was flawed, that deer had some mad self-love and perseverance. 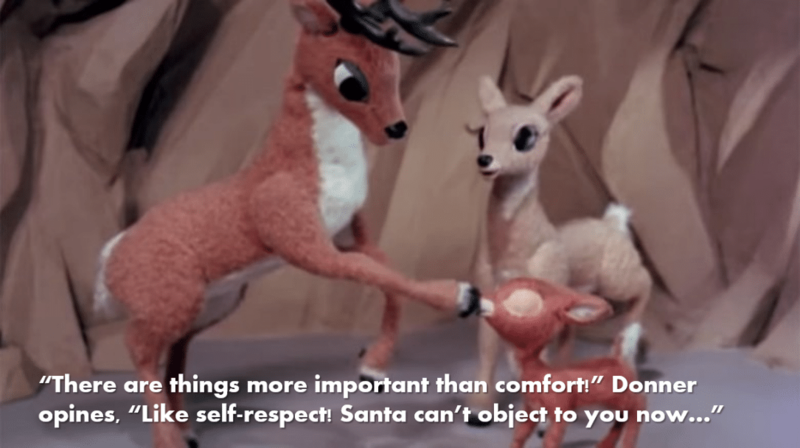 From very early on, Rudolph believed in himself. His self-confidence is what made him a mother-elfin’ hero. He saved Christmas, kept his promise to the misfit toys, rescued his parents & Clarice from the grips of the Abominable Snowman, forgave the bullies, and came out in front leading Santa’s sleigh. Let’s give that red-nosed reindeer a cape to match his red nose. Lesson#2: Don’t settle. Follow your bliss. “Believe in your dreams”, as the lovely Clarice sang. 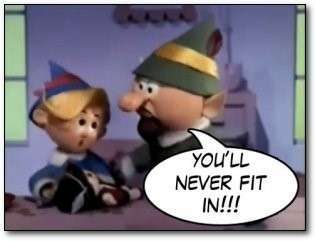 This is what Hermie taught us: that conformity is the enemy of growth. He was a true rebel, giving it all up to follow his passion of being a dentist, even when the odds were against him. Hermie believed he could, so he did. Be like Hermie. Lesson #3: YES. SHE. CAN! Even after being told by Donner not to get involved (“this is man’s work”), the females persisted. 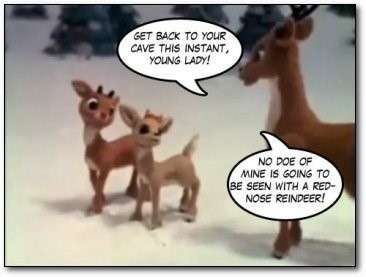 Shortly after Donner left to find Rudolph, Mrs.Donner and Clarice follow him. 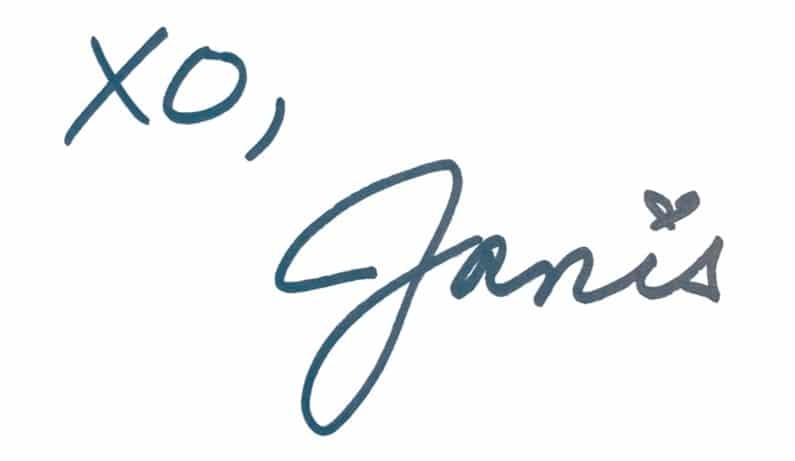 This is a great message of female empowerment, written at a time when it wasn’t acknowledged. Lesson#4: Don’t judge others based on their differences. What makes us different can often be our greatest strength, and Rudolph is proof. The moral of Rudolph’s story should inspire all of us to embrace the unusual, celebrate the weird and welcome the diversity in all of us. We need to become better at teaching our kids about inclusion, so no one ever feels shunned or rejected. It is what is different in us that can make a difference for others. Lesson#5: You cannot hide your truth. Rudolph embraced all that he was from the moment he realized he was different. He didn’t care about hiding his nose (infact he felt it was uncomfortable). Rudolph never wanted to disguise his truth, but his Dad did. The lesson: do you, be you. no one alive is youer than you (had to addin a little Seussism!). Lesson #6: You can run but you can’t hide. 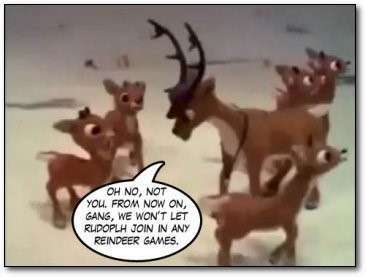 Rudolph and his friends left home because they didn’t feel they fit in, but wherever they went, there they were. They find that there is no utopia, and the grass is never greener on the other side. Rudolph & Hermie prove that when you face your fears, battle your demons, and accept yourself (flaws and all! ), peace acquires permanent residency. Lesson #7: Adults make mistakes too. 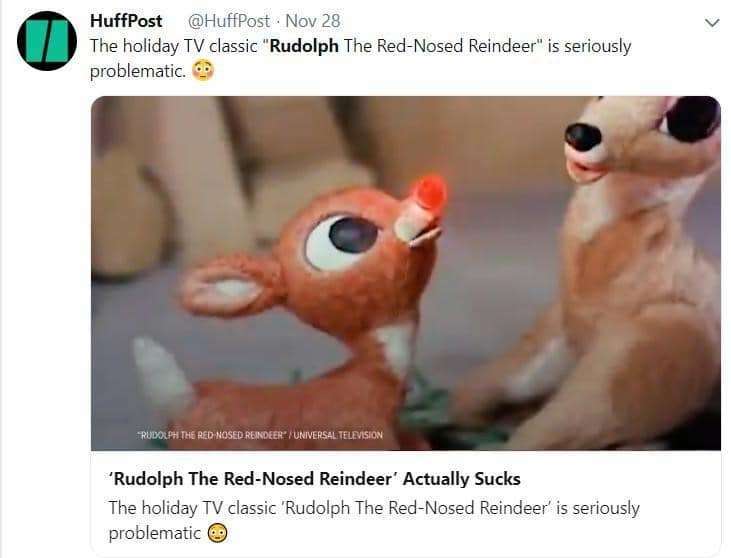 Let’s be honest, the grown-ups in Rudolph were assholes. Donner, Comet, Clarice’s Dad, Hermie’s boss, and even Santa flawlessly depicted dysfunctional adulting. However, as wrong as their actions were, they revealed that adults can disappoint and make mistakes too. We’re all just doing the best we can. Except Donner. He could definitely have done better (ha!). So, Rudolph, with that red, glorious, bulbous nose of yours, you’re a champion for all who feel, look, act and were born different. 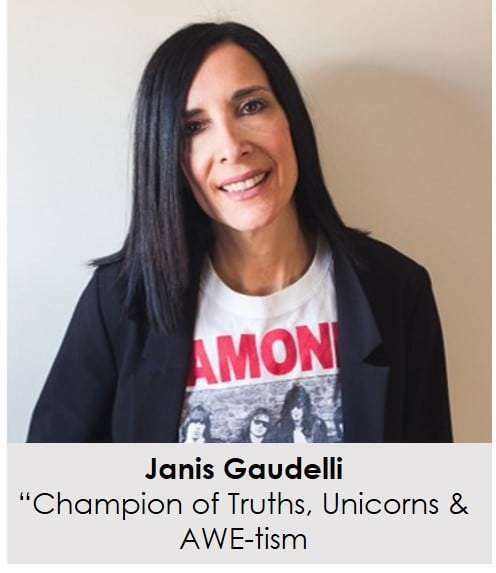 Keep on showing up each year so we can celebrate the misfit in every one of us. Because what makes us different, also makes us special. From one misfit, to another, Happy Holidays!